I didn’t understand until this week the crux of a civics lesson I learned in seventh grade: that in a civil society, we trade away the right of reprisal — to hurt the people who hurt us — for the right to live, peaceably, in a larger group. If the state to which we cede control is benign and can be trusted with the power we give it, the contract holds. If not, we get corruption, distrust, non-accountable government, and repression. This past week America’s social contract, forged in no small part in Massachusetts, was tested. We have witnessed the choices of two men who refused to cede their right of reprisal. Never mind, for the moment, their grievances real or imagined. The Tsarnaev brothers broke the social contract by allegedly setting bombs. In some countries, this act would have led to reprisal bombings that would have tipped into an endless cycle of destruction. That’s a different sort of contract. No doubt many have wanted to lash out in response to the marathon bombings. The victims on Boylston Street bore the brunt of the attack; but the rest of us felt the blast wave, too, as we mourned the innocent dead and wounded and blinked, amazed, at our shattered tranquility. Enemies, people who hadn’t signed the contract, had slipped into our midst. What would the state do about it? Plenty, it turned out, and quickly. The Commonwealth, the federal government, and local authorities held up their end of the agreement with speed, intelligence, and overwhelming force. Using the powers we ceded to them, they found their suspects, killing one and capturing another. In the process, they asked a major American city and its surrounding towns to shelter in place. Astonishing. One million people stuck in their homes, glued to the television. We agreed, no mean feat. Moreover the state, in a reciprocal show of confidence and common purpose, crowd-sourced photos of the suspects and asked the public to call in tips. One such tip turned the case. In the face of horror, our social contract, so fundamental to the smooth functioning of our lives that we tend to overlook it, was tested and held. I feel better about police authority this morning than I have at any time in recent memory. The same overwhelming force that the governor and president called out in response to the attack exists in all its lethal potential every hour of every other day of the year. Yet it is held in check. In many countries it isn’t, and I don’t take that for granted. Imagine all that force turned on its own people by a malign power. It has happened plenty in history, but here in America there is no hint of an authoritarian state. The fringes on the right and left might disagree; and, doubtless, there were periods of our history when state power was misused. But from where I sit, American domestic authority today is benign until called on to respond to threats. Crucially, it’s not their own power they’re after. Their mission is to serve us and to secure the peace, and I believe them. Some claim the Tsarnaev brothers chose the wrong city, that Boston, both in its generosity of spirit and native feistiness, would never bow in the face of such an assault. I’m a transplant of some thirty years, but even I get it: The spirit here is real and it’s distinctive. Still, I don’t doubt that any city in America would respond with its own mix of restraint and resolve to return to life, once the dead have been buried and the wounded cared for. One contract binds us. 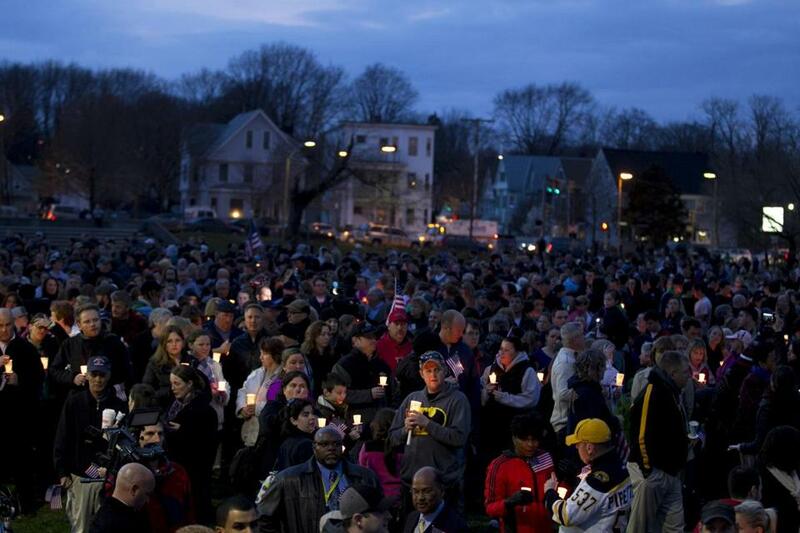 America sent its prayers to friends and family in Boston this past week. America has grieved with us. But I know that Bostonians would do no less for others and that something more profound than a common love of shopping and cable television binds us. I have wondered about that, frankly, about who we are. This past week settled the matter. The fabric held; and it is each of us, trading away some rights to gain others, who make it hold. Leonard Rosen’s new novel, The Tenth Witness, will be published in September.